One of the most powerful movies of 2018 was The Hate U Give. I wish there were more discussion of how it made compelling drama out of what’s going on every day and how a young girl finds her voice, but mostly I wish more people were talking about Amandla Stenberg. Maybe they will once they see it on Blu-Ray, DVD or digital. The selling points of The Hate U Give are character and drama, but it still looks great on Blu-Ray. The clear, sharp image puts the drama in stark focus. It also provides a stark contrast between the neighborhood with earthy tones and the prep school with icy blue tint. 15 minutes of extended scenes interestingly all come from the third act of the film. They give us more of more of Maverick (Russell Hornsby) considering violence, more of the climactic protest and a full graduation scene. There’s certainly a lot to say by the end of the film but they found the most salient points in the edit. Some of the added protest violence is powerful though. Bonus features articulate the topics of the film. I won’t say they further them because the movie is what makes the issues real for people on all sides. The privileged can see what it’s like for the persecuted, and the people who live this can feel seen. There’s so much more than two hours can encompass though so the actors and filmmakers sharing personal experiences are still poignant. It feels like they all got distilled into the film. 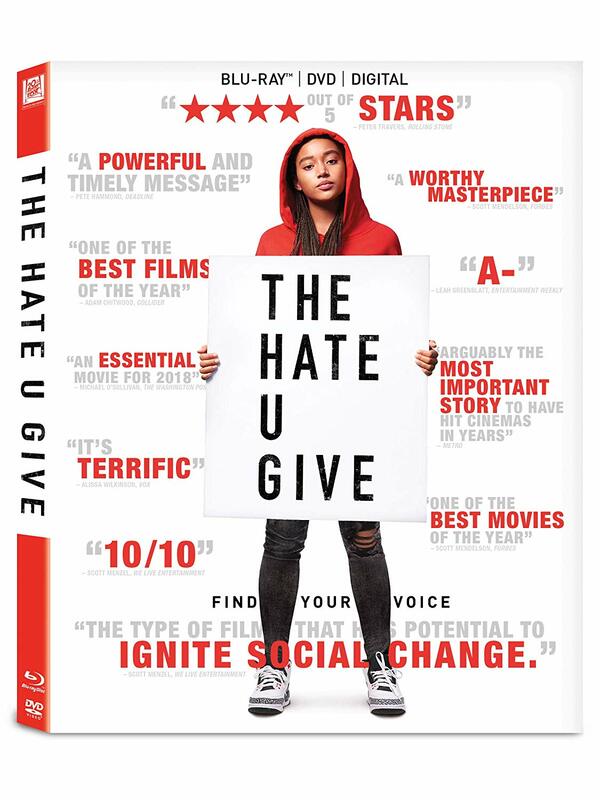 The commentary has Stenberg, Hornsby, editor Craig Hayes, author Angie Thomas and director George Tillman, Jr. They’re able to go into more detail about degrees of Starr adapting to her different worlds and steps towards her unburdening herself, personal stories that informed Thomas’s writing, and of course practical matters of filming specific scenes including why the protest was shortened. I would have liked to hear from Sabrina Carpenter because her character of the white friend who shows her true colors seemed especially poignant in 2018, but perhaps it’s as simple as the discussion they have about her.